This is the Bell-Palmer Home, at 1307 Fillmore Street. The home may have been built in 1905, but some sources suggest that it was built in 1920. 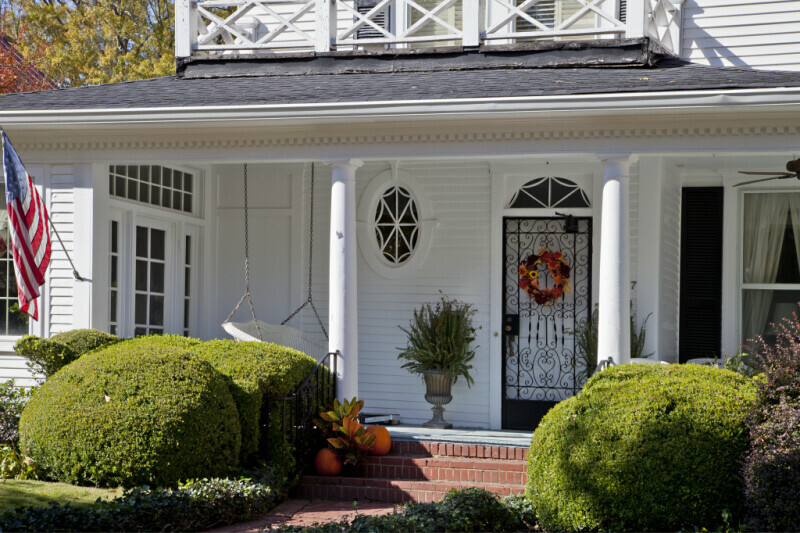 The style of the house is generally consistent with the local interpretation of Colonial Revival; however, the deep eaves, with delicate modillions, indicate some Italianate or Craftsman influences. There is an oval window, with a spider web design to the muntins. A fanlight, over the front door, employs, although it may have replaced a rectangual transom; there is a multi-light, rectangular transom over a nearby side entrance.